Soak small onions and garlic in water for five minutes. Now if you peel, you can peel them off easily and water will not come from your eyes. Wash vegetables before peeling or cutting to preserve the water soluble vitamins. Soak potatoes and eggplant in enough water after cutting, to avoid discoloration. If you boil vegetables in water, do not throw away the water and keep it to make gravies. To avoid browning of apples after cutting, add a little lemon juice on the cut surface. The apples will stay and look fresh for a longer time. Before peeling onions cut in half and soak in water for about 10 minutes before cutting to avoid crying. Soak almonds in a cup of boiling water for 10 minutes so that the skin will peel off easily. Chopping vegetables can be done in different ways using a sharp knife and a wooden chopping board. Cutting on a marble slab will make your knife blunt. Remove the outer leaves and husks from the corn. Holding the corn upright with the flat end firmly in a board, take a sharp knife and run it down between the kernels and the cob to strip them away easily. To make sprouts – take whole green gram or any gram and soak overnight in water. Next morning wash well, drain off all water and keep it in a casserole. Next morning, sprouts would have grown. To make a good amount of cardamom powder without having the headache of peeling each cardamom, take a good amount of cardamoms with skin intact. Roast in a dry pan for a few minutes. When cold, powder with the skin into a fine powder in the mixer and store it in a jar. To cut raw jack fruit generously apply oil on hands, knife and cutting board. Cut off the skin with the thorns and also the pit in the center. The fleshy part is used for the biryani – cut into cubes and drop it in water – as it discolours fast. Wash well and use it. Again after cutting -smear oil on hand, board, knife etc. and scrub with soap to clean everything. If you put few cloves in the nuts(cashew,badam) jar they will stay fresh for longer time. While cooking raw banana, cut it and put in water first. The tar from banana will be dissolved in water. Water will become blue-black. Put raw banana pieces in water for some time and later take out for cooking. To remove bitterness from bitter gourd cut the vegetable and sprinkle salt to it. After sometime take out the bitter gourd and press with hands. Water will ooze out. Throw the water away and cook. If you have some left over coconut milk pour it in ice tray and refrigerate and keep. You can use later. When making rice kheer add sugar only after rice is cooked. Otherwise it will become very late to get rice cooked. To clean coriander leaves or cilantro lunge into a sink full or pot full of cold water. Swirl around a few times and let sit for a while. The sand, dirt, and other debris will settle to the bottom, and the leaves will float to the top and can be removed. Repeat the procedure if the cilantro is very dirty. Pour a handful of table salt into the dirty coffee pot. Use a dish towel or sponge to rub it around and on the stains. Rinse clean. Most Indian dishes require the use of freshly chopped coriander leaves as a garnish. Use the scissors to chop fresh mint, chilies and coriander finely and without any mess. To ensure that the griddle (tawa) is hot enough before spreading dosa, sprinkle a little water over it. If it sizzles immediately, then the griddle is hot enough. Wipe with a clean rag or half a raw onion and proceed. While cooking rice add a few drops of lemon juice. The color of the grains become bright white. Dip overripe tomatoes in cold water, add some salt and leave overnight. They will be fresh and firm to the touch the next day. While boiling egg put salt in water. This will prevent the egg from breaking. Heat the oil thoroughly before adding seasonings or vegetables. Sprinkle some salt in a frying pan to prevent oil from splashing. If oil used for frying turns dark, add a teaspoon of white vinegar, cover with a lid and keep on slow flame. When the spluttering stops, remove the lid; the oil will have cleared and it can be strained and re-used. Do not throw mustard in oil. Put them in a circle so that it splutters fast. Fry the seasonings until they change color, to get full flavour of seasonings. If masala sticks to the pan that shows quantity of fat included is not enough. Add some hot oil and ½ tsp. of baking soda in batter while making pakodas. To make pooris more crispy add a little rice flour to the wheat flour while kneading or add little sugar while kneading. Pakodas will turn out crisper if a little corn flour is added to the gram flour while preparing the batter. Heat a non-stick pan and add a little more butter than usual. Now beat the egg and stir briskly (even while frying) with a fork. This way more air goes in your omelet, making it light and fluffy. Fry till done and serve hot. Always use ghee or vanaspathi with or instead of oil, which gives a good flavour to the gravy. If oil alone is used, it does not get separated easily from the ground mixture, as ghee separates from it. Good variety chillies and chilli powder also gives colour to the gravy. As far as possible try to use long variety red chillies. Dry it under sun for few days and powder coarsely at home. Always the coarse powder gives good taste in gravies and pickles. Add a little oil and turmeric powder to the dal before placing it in the cooker. It will get done in ten minutes flat. If the gravy beomes salty, add boiled and peeled potato in tie an boil for few minutes. Remove the potato and the potato wil absorb the exra salt. While cooking ladyfingers (okra) add a few drops of lemon juice or a spoonful of yogurt to avoid becoming sticky. To preserve the white colour in cauliflower and cabbage, add a teaspoon of milk or milk powder while cooking. When boiling potatoes for cutlets add the salt to the water itself as potatoes absorb salt better this way. While cooking cabbage, add a bay leaf. This will reduce the smell during cooking and also give a subtle flavor. To boil a cracked egg, add some vinegar to the water and place the egg in it. The egg shell will remain inside. When you prepare butter at home, you get buttermilk as a by-product. Boil this buttermilk at medium heat, and you will get paneer at no extra cost. To remove seeds from lemon, just roll it on hard surface applying a little pressure from your palm. Now cut it, you will find all seeds coming out easily. Never beat idli batter too much because the air which has already incorporated during fermentation is lost. To make 1 cup of dal, add atleast 2-3 cups of water, depending on the type of dal. Soak whole pulses overnight and other dals for one hour before cooking. Always add hot water to the gravy to enhance the taste. Add 1 tbsp. of hot oil to the dough for making Kachories or Kulchas. Use the leftover dal water to make rasam or sambar. Never discard water in which vegetables are cooked, use it in gravies, soups, rasam or kuzhambu. Onions and masala are fried in the cooker body itself, raw vegetables are added to that with enough salt and water. Cook under pressure according to the cooking time of the vegetable. 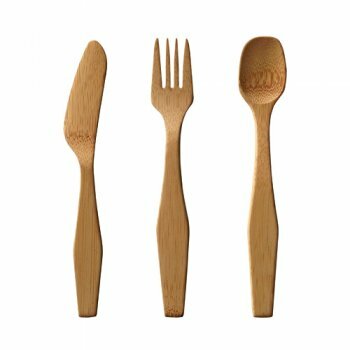 This method helps us minimize our cooking time, use of utensils and nutrients are also preserved. If poppy seeds are used in grinding, soak it in hot water for 10 to 15 minutes, if you are grinding it in a mixer. Add a few drops of lemon or a tsp. of oil to rice before boiling to separate each grain. If you forget to soak channa/ Rajma overnight. Just soak the channa/ Rajma in the boiling water for an hour before cooking. Curd in winter – Boil milk and when the milk is hot add a little curd to it to make thick curd. Roasting is a dry heat method of cooking – it does not use water. The flavors roasting draws forth result from the process of browning. If you are making pasta or rice, cook some extra and store in refrigerator for the next meal. Keep some boiled potatoes in fridge, to make quick sandwiches for breakfast. Use left over rice for next day meal, you can make fried rice. Keep some extra dough in fridge to make chapatis for breakfast. Place some chopped onion in the vessel having burnt food, pour boiling water in it, keep 5 minutes and then clean. Keeping a small piece of hing (asafoetida) in the same container will store chili powder for long time. Use a wooden board to chop. It will not blunt the knife. Don`t use a plastic board, small plastic pieces may go with the vegetables. Immerse the egg in a pan of cool salted water. If it sinks, it is fresh; if it rises to the surface, it is certainly quite old. Hang a peacock feather, lizards will leave your house. To prevent the growth of fungus in pickles, burn a small grain of asafoetida over a burning coal and invert the empty pickle jar for some time before putting pickles in the jar. Don`t store potatoes and onions together. Potatoes will rot quickly if stored with onions. Wipe the blades of greasy knives with a peeled lemon. Then wash under running water. The greasiness will disappear. To refresh old laddoos, heat them in a microwave for thirty seconds. The laddoos will taste as good and fresh. How To Preserve Green Chillies for a longer Time?